Vinegar deters and can kill ants. It is antibacterial, but not toxic to children or pets. This is a guide about using vinegar to get rid of ants. 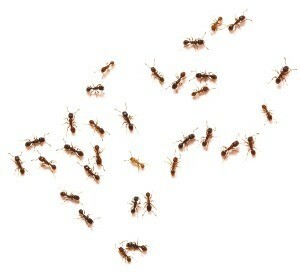 I live in what used to be an orchard, so as the weather warms, I get ants coming in. My solution, the natural way, is to keep white vinegar in a spray bottle in the kitchen and in the bathroom. When I see ants, I spray to cover. I leave for a few minutes then go in and take a paper towel to wipe the counter; in the bathroom, they come in via the tub so after spraying I just use the shower head and rinse. 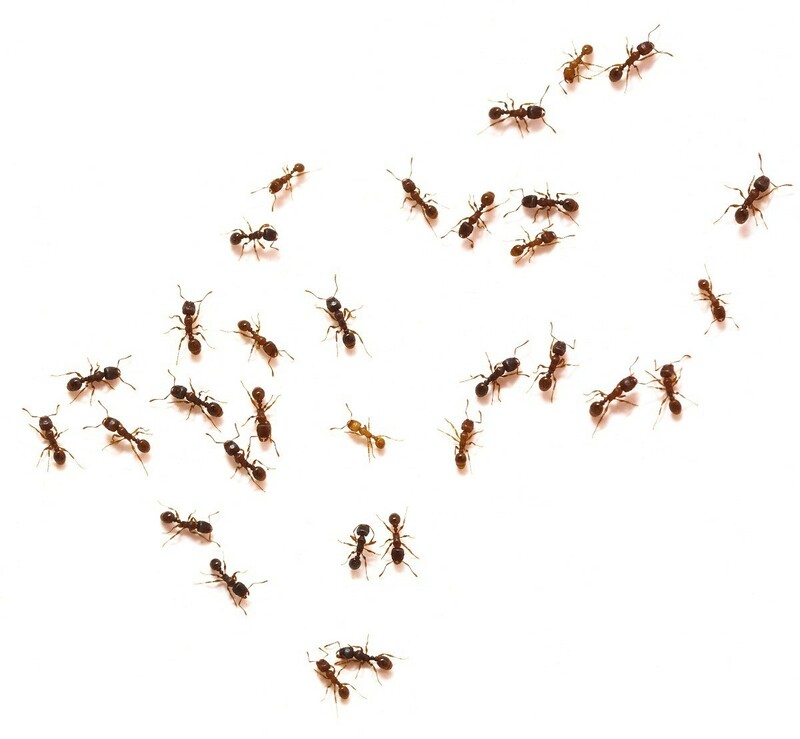 Since vinegar is an antibacterial, I get twice the benefit, it kills the ants and gets rid of odors at the same time (it may take a few times for the ants to get the message). Plus it's not toxic to the pets and humans living in the house. I also post often that this is great for getting rid of gnats and fruit flies. You put some apple cider vinegar in a cup, with a few drops of dish washing liquid to break the surface adhesion. Then, you sit back and watch them dive in without being able to get out. Vinegar is an amazing product! Great tip. Use Vinegar! We had this problem in one of our apartments. The ants literally went from our balcony sliding door right to the dog food. I put vinegar in a spray bottle, sprayed the track of the sliding glass door, the balcony, and the carpet to the dog dish and under it. No more ants. I've done this in my current home on counter tops, door frames, carpets, everywhere. No worries. I don't know if this would work in the garden since vinegar is also a short term weed killer, but it may work on the ant mounds. Don't know about vinegar, but I do know that ants will not cross talc powder. Here in SO CA in the hot summer we get them a lot. They used to come in through my kitchen window. I did some research online and tried the fix. I sprinkled baby powder on my window sill and whalah! They would not cross the talc. I use the little ant motels. They are put out by the same company that makes the roach motels that work so well. Combat is the name of the company and you can find them in any home improvement store, grocery store, most dollar stores, or walmart. They are pretty cheap. You just throw the little round plastic disc around where you see ants and in two days they are gone. Just leave the discs there for a few more days and that should do it. Works for me and I live on the hot Gulf Coast where they can be a problem this time of year, with all the rain. Yes, vinegar is perfect for ants. I put 3/4 vinegar with a good splash of dish soap in a spray bottle. I used the soap because it adheres better to the ants and kills them instantly. I also like to use the vinegar because it doesn't harm my pets. win/win situation. Good luck!